When should a company change their logo? Slack recently unveiled a new logo. As if on cue, there was a lot of consternation over the redesign. And like all logo re-designs of the past, almost no one will be talking about it in a month. But why do companies like Slack change their logo at all? There are many reasons but most are not good ones. Let’s take a look at some of them. This is the gold standard for why a company should change its logo. If they’ve pivoted, evolved, or otherwise shifted the business in a meaningful way, it is the perfect time to change the logo to express this new reality. Keep in mind, just because a company does this, it does not guarantee that their pivot or shift will be successful. Airbnb decided that it was time to grow up a bit. 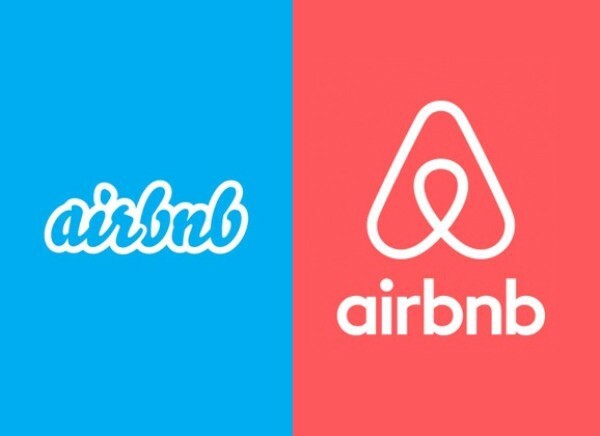 Airbnb had grown significantly with its old logo. But after they completed some work to establish their brand position, they transitioned from just a site where you book a room or house to an “experience company.” To signal this change, they changed their logo in 2014. There was a huge outcry and even a little controversy but in the end, no one is still talking about it. Netflix had several shifts since its founding in 1997. From DVD to streaming to international expansion. Yet, the thread that tied all three shifts together was aggregated content. In 2012 they launched Netflix Originals so the brand had to find a way to de-couple from that association. Even this week the CEO of Microsoft, Satya Nadella, used the term “Netflix of…” to describe their upcoming streaming game service that features aggregated content. 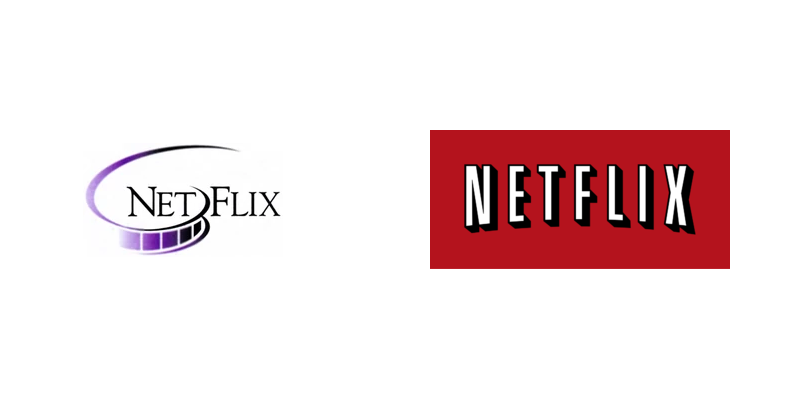 With that in mind, Netflix re-designed their logo in 2014 as a way to signal change. When Dara Khosrowshahi took over as CEO at Uber, there was a lot to course-correct. Under the previous CEO and founder, Travis Kalaneck, the company enjoyed explosive growth and a myriad of brand-damaging bad behavior. Not only that, Uber began acquiring or partnering with transportation options other than cars. The introduction of the re-designed logo was intended to clean things up and signal to drivers, passengers, Wall Street (upcoming IPO), and the consumer-at-large that things were different now. This is also a solid reason for changing a logo. A great example of this was the first ever Netflix logo from 1997. It split the name in two, capitalized the F and showed a movie reel. As in film. That was problematic since they sold and rented DVDs. Nothing about it was really forward-looking nor well-executed. Contrast that with the 2000 re-design. The stylized logotype and bold red color harkened back the opulence of the theater experience without directly tying it to a format. This would prove especially smart as it meant that it didn’t have to be modified when streaming was launched in 2007. Nothing to say here, just look at the original. Another great example of this is Apple Computers. 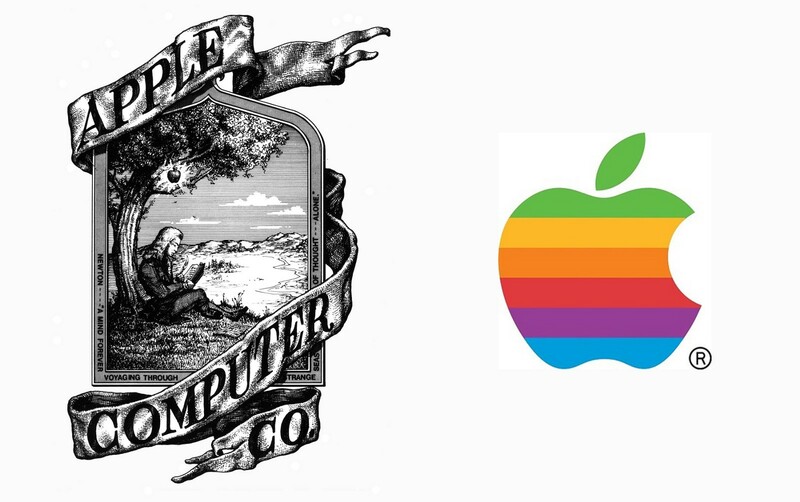 The original, overly ornate logo done by one of the co-founders was backward-looking and even featured Sir Isaac Newton sitting under an apple tree. Needless to say, this didn’t exactly fit a computer company that was trying to invent the future and it was changed after just one year. Brand fatigue is when a company simply grows tired of their current logo. They’ve seen it day-in and day-out and are, frankly, bored with it. It may be tempting to look down your nose at these companies but we had to fight that battle internally at Netflix more often than you would imagine. This, of course, is a terrible reason to change the logo. Why? In the case of an older, more established company, it can destroy brand recognition that the logo helped build. In the case of a startup, it is a needless distraction and diversion of resources to something that is not going to really move the needle. 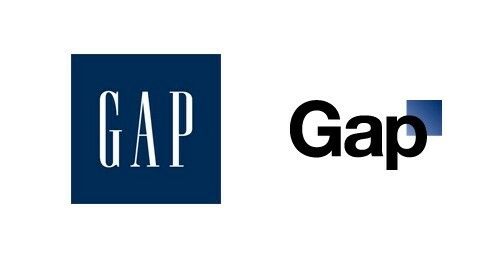 Gap was a prime example of a company suffering from brand fatigue. In 2010, they launched a new logo that was widely derided. The reason they changed their logo was…brand fatigue. They thought that updating their logo would help propel their brand forward but they didn’t change anything else about the underlying business. Needless to say, the public wasn’t having it and they reverted back to the old logo that had loads of brand equity. In 2009, perpetual second place cola brand Pepsi decided it was time to change up their logo. So they spent $1 million on a redesign that resulted in a logo that ultimately was a half-step from their former logo. There was no strategic shift or change to their underlying business. They just thought it was time. By the way, if you have some time, check out the re-design deck. It is stunning in its absurdity. 4/ Hey, Look At Us! Not to bash Houseparty only because many startups do this, but in 2018 they felt like they weren’t getting noticed. So, they changed their logo in an effort to drum up interest. It worked a bit but because there was no real strategic reason behind the change, it went relatively unnoticed. This is not necessarily a bad reason. After all, a new perspective could shed light on a problematic logo that just hadn’t been addressed yet. But, all too often, it is merely a way for some to announce they have arrived whether it’s a CEO, CMO, or VP of Marketing. In the case of Google, soon after Sundar Pichai joined Google as their CEO the logo was changed. The company, they argued, was different now with many different products and services. And while it might be tempting to file this under reason #1 above, all this did was modernize their logo. Sometimes a company undertakes the process to revamp their logo as a way of seeking a brand position they sorely lack. Unfortunately, this is easy to see through. A prime example of this was Uber’s initial re-design led by then CEO Travis Kalanek. When talking about the re-design he said, “The warmth, the colors, those things,’ he says, nodding to the new brand. ‘That happens, when you start to know who you are.’” That is a clear signal that he and his team were groping in the dark to try and find the light switch when it comes to Brand. Ok, So What About Slack? So, where does Slack’s redesign fall? A lot of people (myself included at first), may have thought that it was reason number 3 - brand fatigue. But if you read their blog post, you start to realize that it was actually reason number 2. The old logo had a surprisingly complex color palate that was hard to apply in a consistent manner. The only time a company should undertake a logo re-design is to fix a logo that was poorly designed in the first place or to signal a big shift in the company’s strategy or offering. Any other reason is simply wasting time and money. Big thanks to Tyler Hayes and Jason Hitchcock for being a second and third set of eyes and for the great suggestions that improved the piece. Connect with me on Twitter, follow me here, and if need be, connect on LinkedIn but let’s face it, that site has seen better days.